Here's a look at the changes India is hoping for on the income tax front, the impact on our wallets and the cost to the exchequer, if Finance Minister Arun Jaitley decides to play Santa. 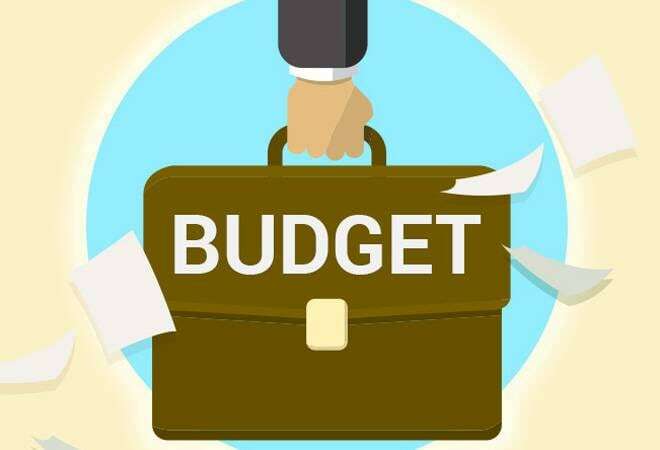 Day after tomorrow, Finance Minister Arun Jaitley will present the Union Budget 2018-2019, the last regular Budget under the Narendra Modi government before general elections. Public expectation, therefore, is high that the coming Budget will be populist in nature, trying to please as many as possible. After all, previous pre-election full Union budgets since 1988-89 have all been more like manifestos than an annual financial exercise, all of them targeting the middle class, salaried class, farmers, women, youths and the reserved categories in order to woo them and garner their votes. So here's a look at the changes India is hoping for on the income tax front, the impact on our wallets and the cost to the exchequer, if Jaitley decides to play Santa. At present, deduction of a maximum Rs 1.5 lakh is allowed to all individual taxpayers for investing in various tax saving schemes, such as EPF, PPF, life insurance schemes, National Savings Certificates, ELSS, etc. Speculation is rife that this limit will be increased by Rs 50,000 in the coming Budget, thereby allowing individuals to save more and channelize long-term savings into capital markets. If the section 80C limit is increased to Rs 2 lakh, the additional tax saved by those in the 10 per cent tax bracket will be just Rs 2,575 but those in the 20 per cent and 30 per cent tax bracket stand to save over Rs 10,000 and Rs 15,000 respectively. According to The Economic Times, this move will dent the exchequer by almost Rs 2,575 crore. Such a move will reduce tax collections by Rs 5,300 crore, according to reports. Industry bodies are also seeking re-introduction of standard deduction for salaried income tax payers in Union Budget 2018. Currently most salaried employees only get a conveyance allowance and medical reimbursement while businessmen are allowed to claim various deduction for expenses incurred towards their ventures. The concept is not alien to India. Standard deduction on salary had been introduced in India in 1974. But in 2006-07, then finance minister P. Chidambaram scrapped it in light of the recommendations of the Kelkar Committee on direct taxes-especially the increase in the basic exemption limit and the introduction of Section 80CCE. Bringing it back, according to Assocham, will give a boost to consumption demand and boost economic growth. If the government allows a flat deduction of Rs 50,000 to the salaried class, those in the highest tax bracket will end up saving Rs 15,300 a year in taxes. Similarly, those in the middle income tax bracket of 20 per cent can save Rs 10,150 annually, and those in the lowest tax bracket will save Rs 2,575 in taxes. Rationalisation of personal income tax slabs is rather unlikely given the country's fiscal situation, but that has not stopped industry bodies CII and FICCI from demanding it in their memorandum submitted to the finance ministry. Under existing slabs, 20 per cent tax is levied on annual income of Rs 5-10 lakh while 30 per cent tax rate is applicable for personal yearly earning above 10 lakh. The salaried class hopes that Jaitley will introduce a new tax bracket for annual income of Rs 10 lakh to Rs 15-20 lakh on February 1 along with rejigging tax rates accordingly. If a new tax slab of Rs 10-20 lakh is introduced at a tax rate of, say, 20 per cent - and the Rs 5-10 lakh bracket is taxed at 10 per cent instead of the current 20 per cent - then those with income up to Rs 10 lakh will half their tax outgo on income in excess of Rs 5 lakh and people earning up to Rs 20 lakh will save Rs 50,000 plus one-third of tax outgo on income in excess of Rs 10 lakh. But the government's purse will take a big hit. If the 10 per cent slab is merely raised to Rs 6 lakh, incoming revenue would reportedly fall by over Rs 600 crore. Yes, all the above means a hefty bill from the exchequer, but India is eagerly hoping for a populist budget, offering at least some of the above. If the government hands out any of the above to the middle class, it could look towards India's richest farmers to recoup losses. If the agricultural income of those with landholdings of 4-10 hectares is taken into account, the income of top bracket farmers stood at Rs 83,433 crore for 2013-14 fiscal. A total of 2,746 farmers had reported annual income of Rs 1 crore back then, and none of them paid income tax since earnings from agriculture are exempted. At an average income tax rate of 30 per cent, bringing the top 4.1 per cent of super-rich farmers into the income tax net in Budget 2018 will help the finance minister to raise Rs 25,000 crore as revenue.